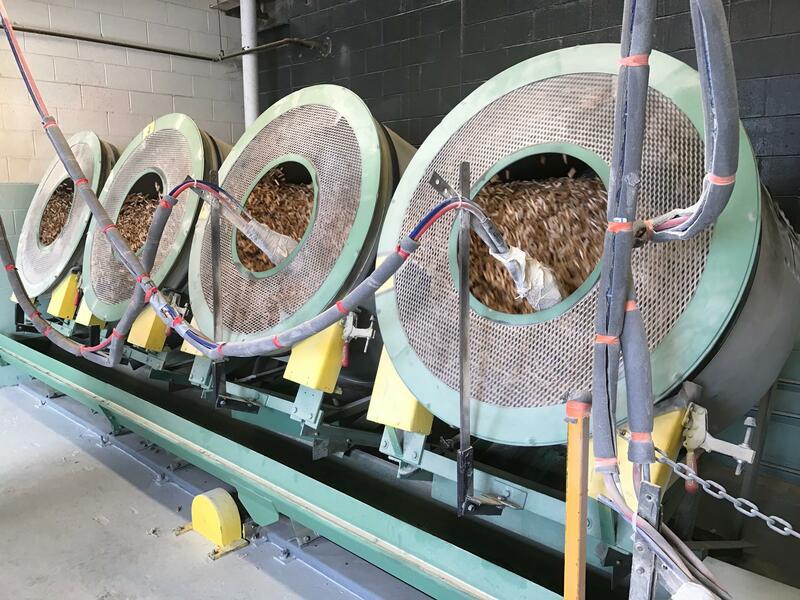 Sawed birch logs are sorted and inspected as they make their way through the cigar tip manufacturing process at Pride Manufacturing in Burnham. If you’ve ever bought cigars with wooden tips, they may have come from Pride Manufacturing in Burnham. The company, which employs 145 people, has been a world leader in cigar tips for more than 60 years, and also cranks out millions of golf tees from white and yellow birch. Pride Manufacturing in Burnham, home of Lincoln Logs. A couple of years ago, Pride landed a contract with K’Nex, the Pennsylvania-based company that sells Lincoln Logs — the toy invented more than 100 years ago by John Lloyd Wright, second son of the architect Frank Lloyd Wright. 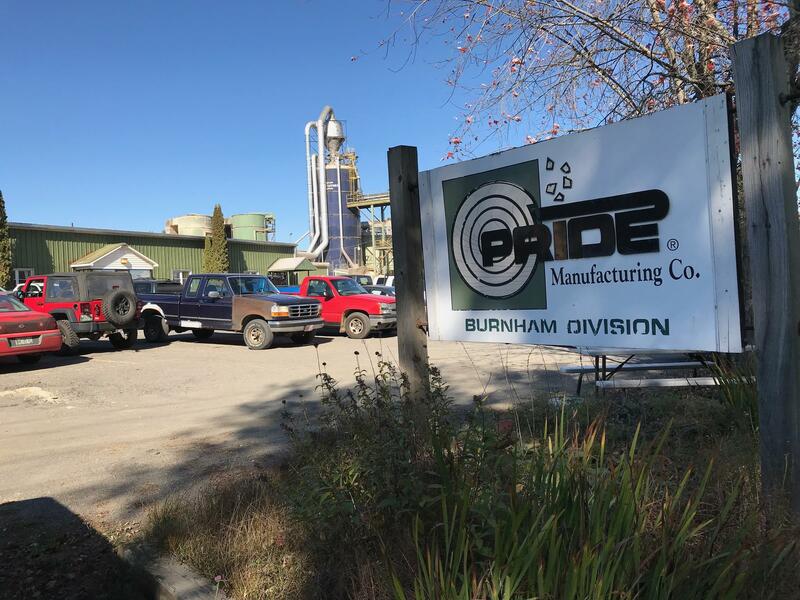 Randy Dicker, senior manager of manufacturing at Pride, says it has become a big part of the Burnham plant’s future. Pride Manufacturing is trying to answer a question that Patrick Strauch of the Maine Forest Products Council is front and center for the industry. White birch logs are loaded onto a conveyor that transports them into the Pride Manufacturing plant in Burnham. “How do we take a piece of lumber or a pound of pulp and add more value to it?” he says. While primary wood products such as pulp and paper, boards and framing lumber, wood pellets and chips have declined over the last 15 years, secondary wood products such as shingles and Lincoln Logs have rebounded, generating an economic effect estimated at nearly $2 billion. “The age of having toothpick mills and wood turning mills in every town is gone, but we’re seeing innovation and families in manufacturing bring some of those businesses back,” Strauch says. 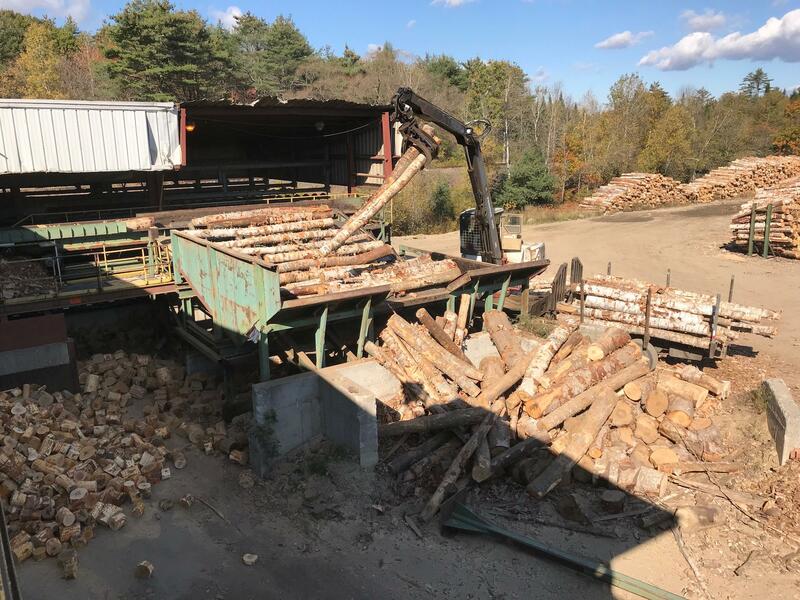 That trend is being aided by changes in the Chinese economy, says Dr. Mindy Crandall, the assistant professor at the University of Maine who has studied the resurgence of Maine’s secondary wood products industry. “As China progresses and has higher incomes, their labor costs are also rising, so when we can compete on things like quality, that’s where we can start having some of that manufacturing moving back over to the U.S.,” she says. 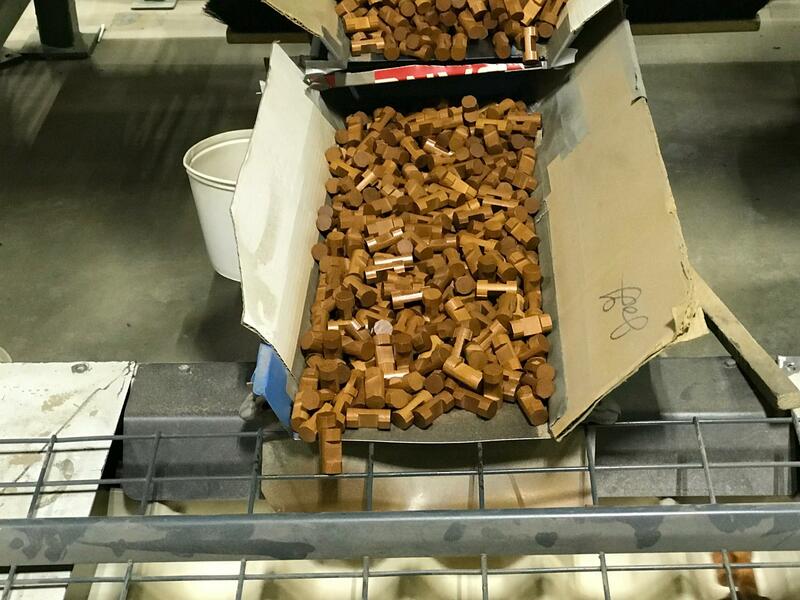 Freshly cut Lincoln Logs roll off the conveyor at Pride Manufacturing in Burnham. Crandall says Maine can compete globally by focusing on products that require a higher level of skill and higher quality of wood. Enter Lincoln Logs, baseball bats, kitchen utensils and play sets, which Crandall says are driving the secondary manufacturing market in Maine. “We tend to forget about secondary wood manufacturing and its role in the state, but there are an amazing amount of these small companies that are adding a lot of value to a primary product,” he says. Even some very small Maine companies are in the game. At Longfellow’s Cedar Shingles in Windsor, Jim Longfellow oversees the family operation, which relies on a diesel generator to run a shingle saw. Longfellow makes arrangements for the delivery of cedar stock and runs the manufacturing process that produces a siding prized by homeowners across the country. But given the daily demands of the business, Longfellow says it’s hard to say how much wood he goes through. Wooden cigar tip are finished with a sweetening agent during the tumbling process at Pride Manufacturing in Burnham. Longfellow and other Maine manufacturers say they are constantly searching for new products to maintain a secure foothold in the changing landscape of secondary wood products. “We’re always looking for the next widget,” Dicker says.